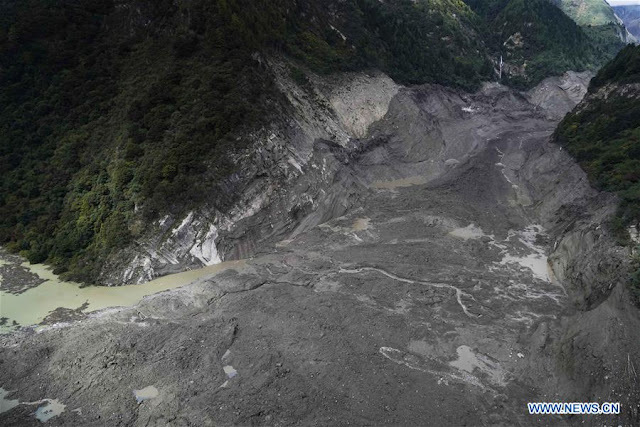 Three days after posting the story below on the landslide on the Upper Yangtze, VTIBET.com reported a "Barrier lake forms following landslide in Nyingchi." 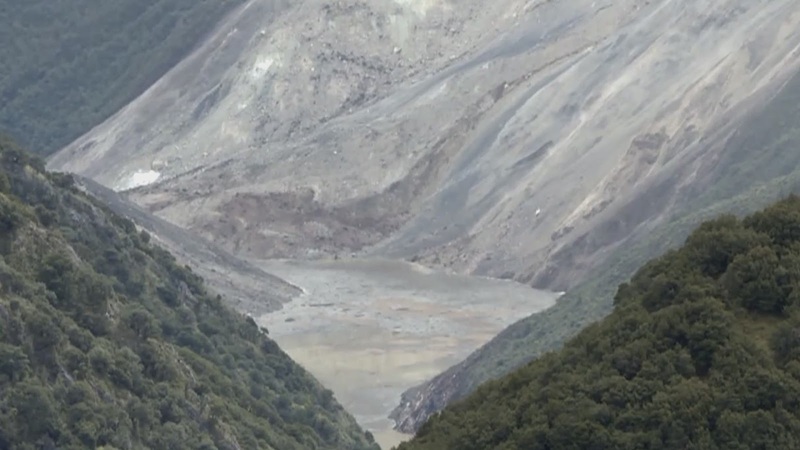 The article says: "A barrier lake has formed after a landslide struck a section of the Brahmaputra Valley near Pe Village of Mainling County of Tibet Autonomous Region. 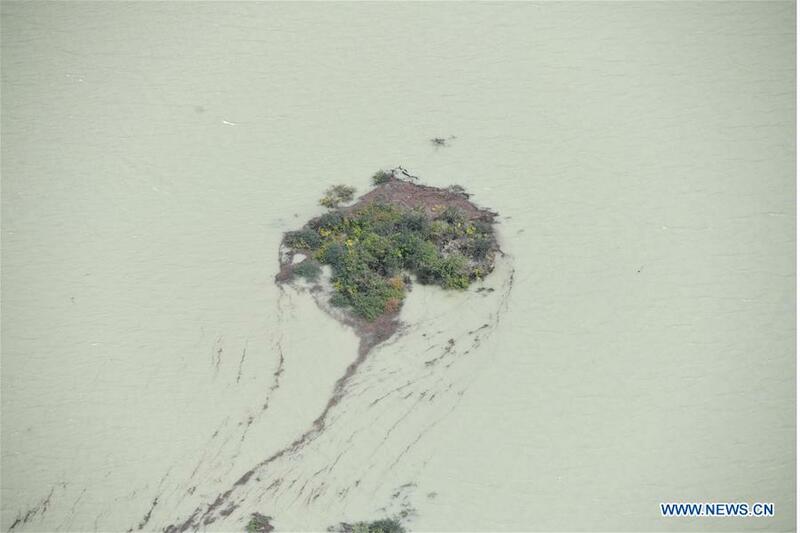 As of 3 p.m., the amount of water in the barrier lake had reached about 150 million cubic meters." Some photos show the landslide-hit road in Mainling County, north of Arunachal Pradesh. 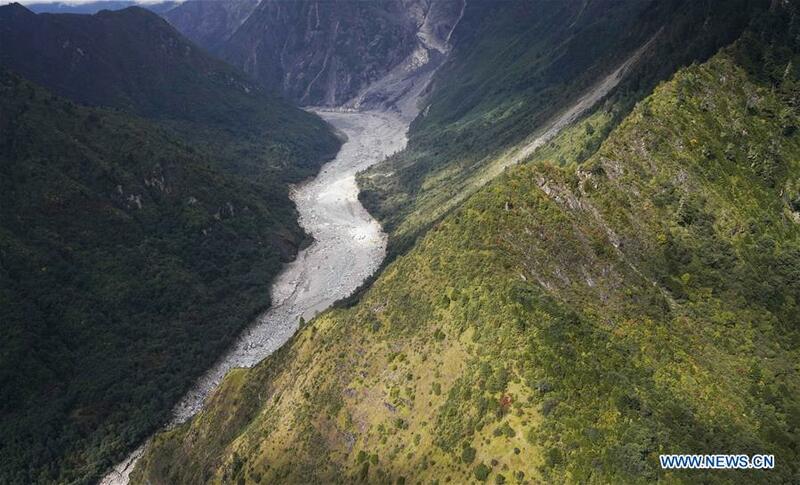 According to The Telegraph, China’s water resources ministry has informed the Centre of a landslide in Mainling "which might have an adverse impact downstream, particularly in the East Siang district of Arunachal Pradesh." 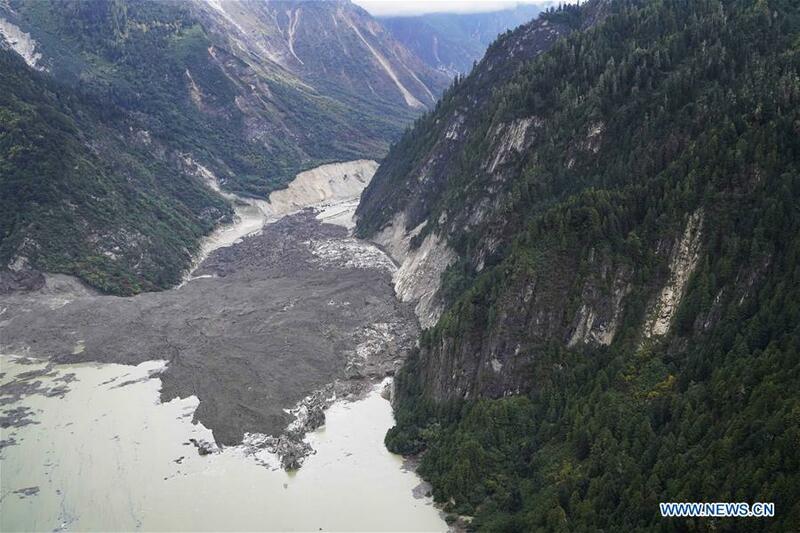 On October 11, Xinhua reported a ‘barrier lake’ which had formed due a landslide in a section of the Upper Yangtze (Jinsha River in Chinese) at the border between Sichuan Province and Tibet Autonomous Region. The landslide struck in Bolo Township, in Jomda County of Chamdo prefecture. Though no casualties were reported, the amount of water in the barrier lake had in a short time reached about 100 million cubic meters. 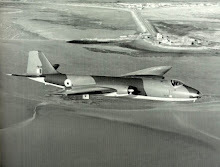 The PLA and PAP had been called to rescue the affected populations. 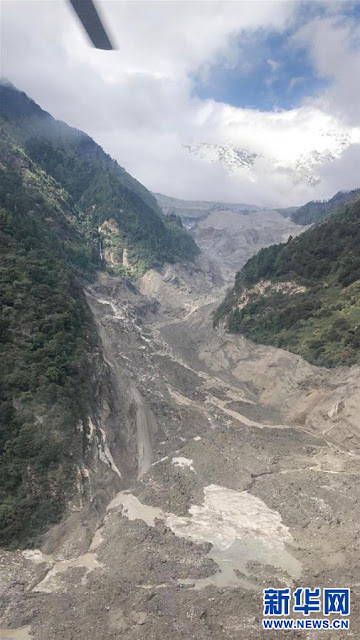 According to the same Ministry, some 7,000 tents, 30,000 cotton-padded coats, 50,000 quilts and 5,000 folding beds were sent to the landslide-affected area to help residents. Bolo is located in the south of Jomda county; the Upper Yangtze separates this Tibetan area from the Sichuan province at an altitude of 2,860 meters. The county counts 8,325 residents in eight villages. This 'natural' disaster raises seriously questions, not only environmental, but political too. 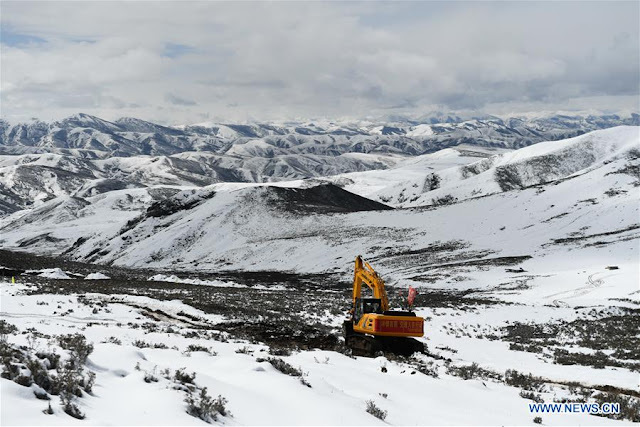 Was it a coincidence that around the same time, Xi Jinping spoke at an ‘important’ meeting about the improvement of the disaster prevention while building the mega Sichuan-Tibet railway? There is no doubt the project is so big, that it will resulted in serious ecological damage. The Party's General Secretary made these remarks during the third meeting of the Central Committee for Financial and Economic Affairs: “As a stronger capability of safeguarding against natural disasters concerns the economy and people's livelihood, China will set up an efficient and scientific system and improve the capability of the whole society in a bid to protect people's lives and property and national security," said Xi. 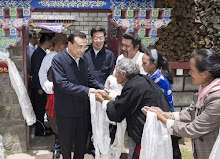 It had been rumoured earlier that there was a rift between the Chinese President and his Premier, Li Keqiang, who had visited Tibet in rather strange circumstances, probably to inspect a section of the projected mega railway line. At the recent meeting, two more members of the all-powerful Politburo’s Standing Committee were in attendance: Wang Huning and Vice Premier Han Zheng. All this will cost money and may increase the cost of the project many folds. One of the questions never mentioned in the Chinese press is: can Beijing afford this mega project? 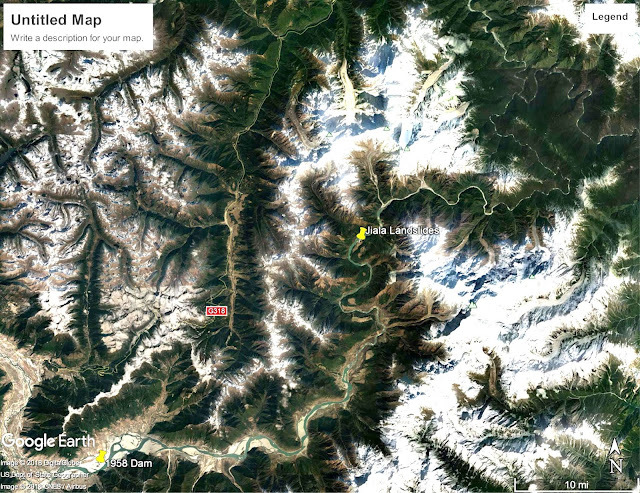 What would be the main objectives of the railway line between Sichuan and Lhasa? Is it really necessary at this point in time? There is no doubt that in Xi’s mind, the ‘consolidation of the frontiers’ is crucial; let us not forget that he occupies the seat of Chairman of the Central Military Commission. 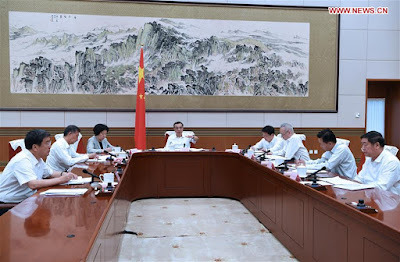 Observers have asked, why was this meeting called by Xi; after all such project should come under the State Council, in other words Premier Li, who himself held a similar meeting in August. Just after the Summer holidays at Beidaihe, Li had chaired a meeting of the Leading Group on the Development of Western Regions on August 21. It was held in Beijing; Vice Premier Han Zheng, deputy head of Leading Group was also present. Li Keqiang stated that the Western areas should continue with reform and opening-up and vigorously innovate to achieve high-quality development. While acknowledging the economic and social achievements in the regions, Li described the development in Western Regions (i.e. 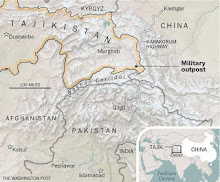 Tibet and Xinjiang) as 'a crucial and difficult point' for China to become a moderately prosperous society in all respects and achieve modernization. Western areas should channel more energy into industrial upgrades, and make more contributions to a stable national economy, Li said. 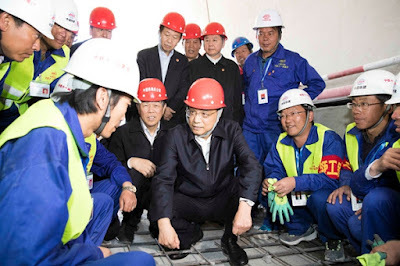 Li cited projects such as the Sichuan-Tibet railway, power grids, oil and natural gas pipelines, internet infrastructure, and water diversion projects (hopefully not the Brahmaputra!!). It is here that there is a difference of approach between the two leaders; Li being softer. 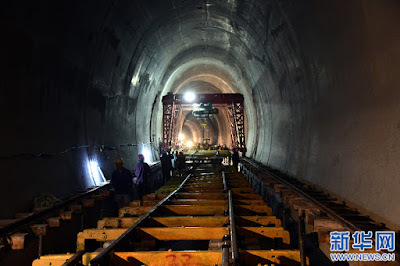 A month earlier, The China Daily had given some details about the project: “A preliminary study on the Kangding-Nyingchi section of the Sichuan-Tibet Railway shows the section will include at least 10 rail tunnels each longer than 10 kilometers." 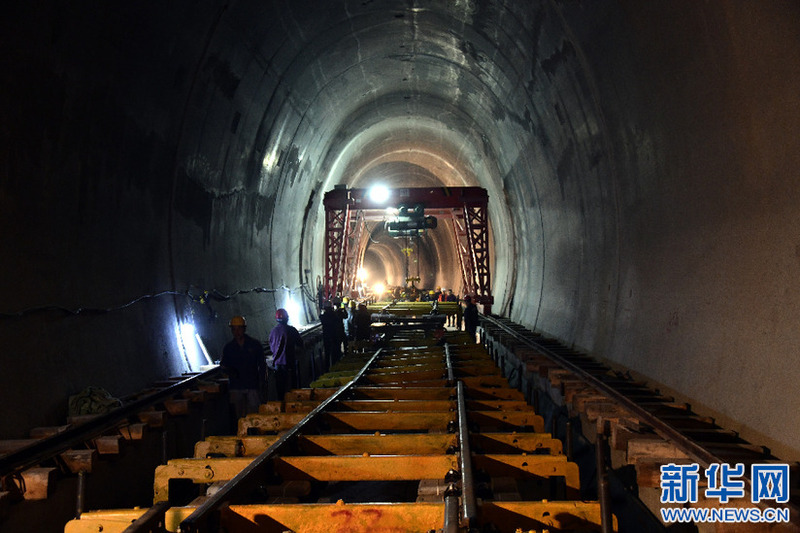 There will be six rail tunnels in the Kangding-Nyingchi section longer than 30 km. He Huawu spoke during an academic seminar on key technologies for building high-speed railways in complicated mountainous areas held in Chengdu. China Railway had announced that design of the line was ‘not final’, but just part of preliminary research on the construction of the Kangding-Nyingchi section, and it has not been approved by the authorities. 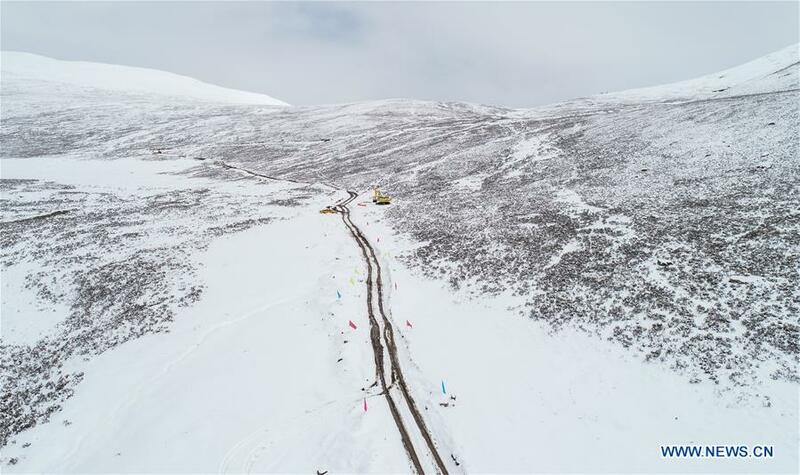 The Sichuan-Tibet line will be the second railway line connecting the Tibet Autonomous Region with the mainland; the first one was the 1,956-km Qinghai-Tibet Railway, which opened in 2006. Then recent landslide is an example of what could (will) happen to the railway line. In fact, the construction in such difficult terrain is bound to create havoc for the environment on the marches of the Tibetan plateau. It probably explains the warning of Xi Jinping. But a more cautious approach will also drastically increase the cost of the project; it is where Li may not fully agree with the Emperor. At the end the question is: can Beijing afford this in the midst of a trade war with the US? 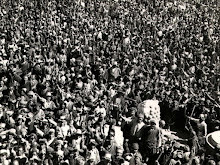 It is one of the many dilemmas that the Chinese leadership will be facing in the years to come. 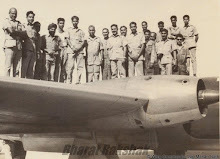 It could easily create a schism between the different factions in the Communist Party; between the ones promoting a more human approach and the ones vouching for gigantic schemes. 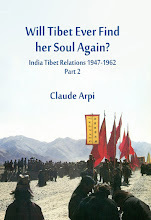 The discreet visit of the Chinese Premier to Tibet should be seen in this perspective. 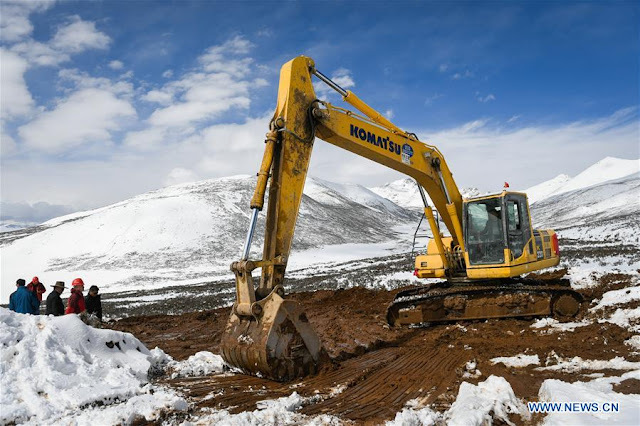 It refers to the Nyingchi-Lhasa railway line which will soon be open to traffic. In the meantime, development projects in this ecologically fragile area are creating havoc. To restore the traffic, a new road is being built. All this has a cost.